Gone are the days when an individual chooses to stay and be loyal to one company for the rest of his life.Gone are the days when the two-year rule also exists in our vocabulary.Nowadays, many of the job hunters resort to bouncing from one job to another in order to meet their financial needs. Yet at some point, many still find it hard to look for companies that will get them hired, especially if the employers find out that they’re job hoppers (or technically staying in a job at a very short while and quickly shifting to another one). Well, what you think is right! Employers view this concept of job hopping as a deal breaker for definite reasons and that it is definitely an obstacle for applicants. For them, this reveals that a worker has the inability to fully commit himself to a job for a certain length of time. What’s worse is that,potential employers might think that one has bad experience working with his previous colleague or bosses. Do not fear and be bothered that much! We’ll try to fix every single job hopping-related concern as we assist you in structuring your résumé without hurting your reputation. 1.Use the functional approach in crafting your résumé. Instead of stating your past jobs in a chronological manner, it will be better if you use the functional approach that allows you to outline and highlight your skills ahead of your previous employment. If you think you’re a job hopper, then sell your diverse skill set in your résumé. 2. Emphasize valuable career contributions. Like with other résumés, put attention to your success story as you take a recap on your achievements and contributions to your previous employers. In that way, your prospective employer will be able to get a preview of what you have done in your past careers. 3. Make your cover letter as an avenue to explain your side.Attach in your résumé a cover letter that will thoroughly explain your reasons for your job hopping, whether your explanations are personally, economically, or professionally related. Also, make this as means for you to express your desire to reliably commit in a long-term job. 4. Incorporate only significant work-related experiences.If you think some of your experiences wouldn’t help for your next application, then you better remove them. However, be creative in stating your short-term employments by consolidating or categorizing your experiences. 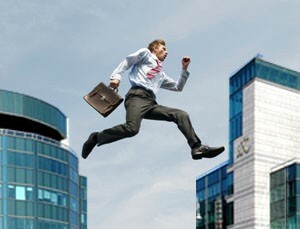 Job hopping can be, at some time, advantageous or disadvantageous, a savior or a killer. It definitely enlarges your network of people and allows you to widen the choice of available jobs; hence, increasing your skills in varying fields of expertise as you expose yourself to different jobs. Contrariwise, there is a possibility that your employer will hesitate to hire and invest in you for they may think you’ll do the same thing as you did before. In a nutshell, job hopping has its own benefits and pitfalls. What’s important now is that you will be able to tell to your prospective employer that you are someone who has the skills and abilities and that you can contribute entirely to the success of the company.